Sekiro: Shadows Die Twice presents an entirely new direction for FromSoftware. Fans of Dark Souls and Bloodborne will immediately feel at home with the gameplay style of Sekiro, but it also comes with its fair share of new and interesting features. No longer, for example, will players be able to change the ‘fashion’ of their character. 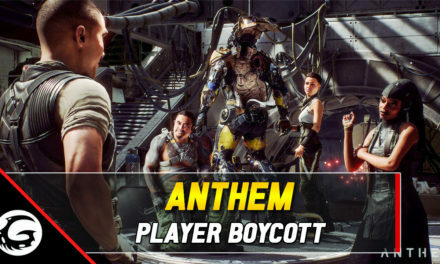 In fact, players will no longer be able to create or design a character at all. Instead, we will play exclusively as the Wolf, a Shinobi warrior sworn to protect a young prince. The story details are still shrouded in FromSoft’s trademarked mystery, but details about character progression and development are coming to light. Today, we’re going to be taking a look at what we know so far about it, and how you can expect to change and evolve as you play through Sekiro: Shadows Die Twice. This is an almost complete departure from the signature systems of FromSoft’s previous titles. Players expecting to create their own builds will still be able to do so, but there are no stats to invest in, souls to farm, or new weapons to unlock. There is, however, a large skill tree split into three branches. These branches are: Shinobi, Prosthetic, and Samurai. The Shinobi path will see the player unlock ‘ninja’ style skills, typical to what you might expect from the stealthier mechanics of an RPG. Sneaking, stealth, critical hits, assassinations, and clever movement are all to be expected from this tree. This tree is the one for players who like stealth mechanics and the idea of sneaking around, eliminating enemies one by one without so much as a sound. Our Prosthetic is the arm attachment that the Wolf wears upon his left arm. While having your entire arm cut off isn’t ideal, it has provided him with a host of new skills. By discovering artifacts in the world, we will be able to unlock and use these skills. Shooting fire from your arm, launching a steady stream of shuriken ninja-stars, and deploying a shield-smashing ax are but a few of the options that we know about so far. This skill tree will revolve around the use and upgrading of those abilities, adding active and passive effects. Players who want to use the more flashy skills will need to invest into the Prosthetic tree. I think nearly all players will, at least to some extent. Finally, the Samurai Tree will focus on clean swordplay. None of those underhanded tricks are for the Samurai. Instead, this tree will upgrade the Wolf’s natural ability to fight enemies head-to-head with his classic katana. Players who are fans of more traditional RPG combat will be immediately at home with this skill tree. Like the other trees, there will be some essential skills here that most players will want to pick up, with some cooler tricks further down the tree for those who wish to dedicate themselves to the path of the Samurai. It’s been confirmed that with enough experience, you could potentially upgrade all of the skills and perks in all three trees, but that it is unlikely to be completed in a single playthrough. Not only does that tid-bit effectively confirm NewGame+, where players replay the game but continue progressing their character (this is FromSoft, after all), but it also suggests there are a whole lot of skills we haven’t even seen yet. For players who are worried that their ‘grind’ is gone from previous Soulsborne titles, I think there’s still going to be a good amount of growth and progression. On that note, ‘corpse runs are gone’. These were the result of dying in Dark Souls or Bloodborne, wherein the player needed to make it back to their body to recover their items lost upon death (or else lose them forever). In Sekiro, gold and experience are not lost upon death. There’s no more running back to your corpse after losing a few levels worth of souls. Instead, players will progress constantly throughout the game, encouraging bolder fights, and less running past enemies or skipping entire zones. 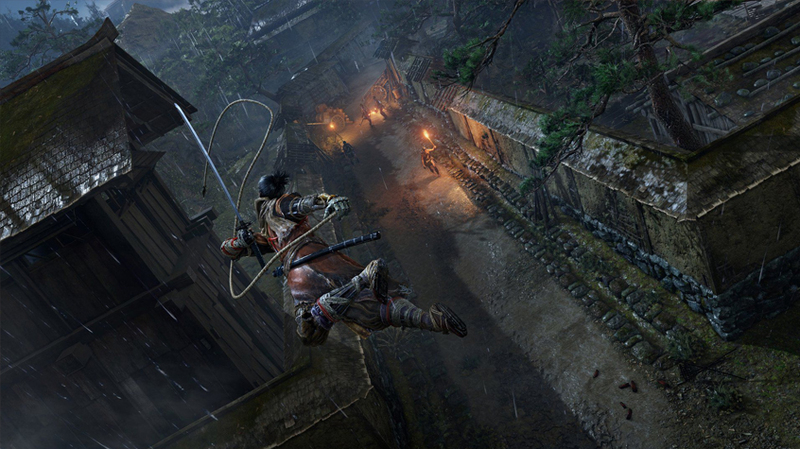 Sekiro: Shadows Die Twice really wants you to engage with the gameplay loop and enjoy the death-defying dance of combat. That’s not to say that dying doesn’t have any negative consequences, however. We know that there is definitely a penalty for dying, but details are yet to be confirmed about what form it will actually have. Miyazaki has told us that it is “still taking shape” and that it will be “more personal than before”, but didn’t reveal any further details. There have been rumblings that this might mean it’s related to our Prince, the young figure seen in the trailers whom we serve. Others think it might be akin to Dark Souls’s ‘hollowing’ system that saw each death reduce our character’s humanity. It will be really interesting to see what happens; it sounds like it’s going to have a much deeper connection to Sekiro’s story, and that’s always going to be great with FromSoftware. Other elements of Sekiro’s progression are much more alike Dark Souls and Bloodborne, namely the interactions with NPC’s in the main Hub area: the Dilapidated Temple (which we wrote about last week, here). Here you’ll find the Sculptor, who’ll provide you with upgrades. 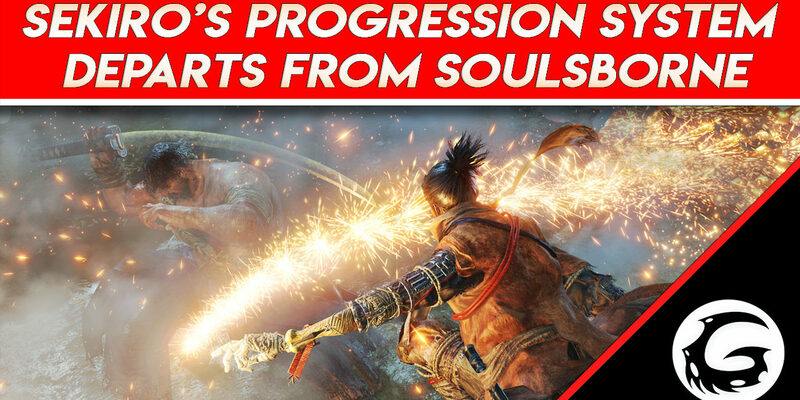 His idols, Sekiro’s answer to bonfire checkpoints, will also serve as areas where you can level up and improve the Wolf, as well as fast-travel back to the Temple. There you’ll also find our new friend, the Immortal Soldier, who’ll train with you and give you somewhere to test out your newly earned skills (for more details, see here). At the Temple, you’ll also find Emma. She’s like the Shrine Maiden or Doll, and will be able to upgrade your Gourd (healing flask) by using Spirit Water Drops found out in the world. It’s unclear at the moment what else she’ll be able to do, or even what she looks like. As with the other characters, I’m sure there’s going to be an extremely rich backstory for us to dive into when the time is right. 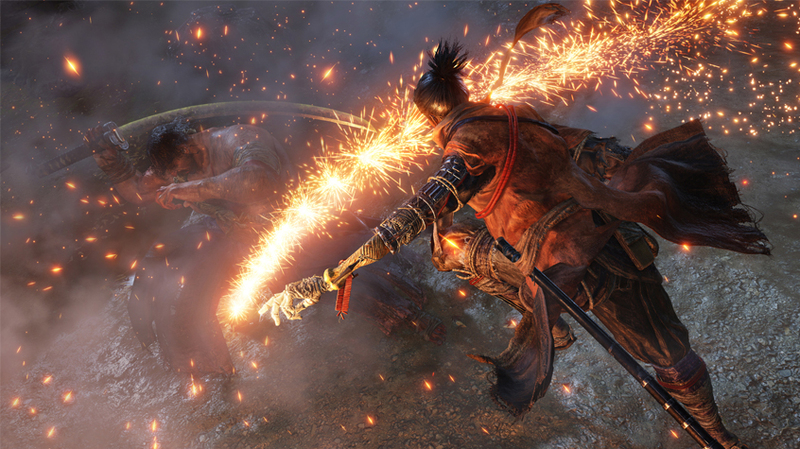 Last but not least, Sekiro: Shadows Die Twice will have some elements of crafting and improvements. ‘Prayer Beads’ dropped by mini bosses, and found in secret locations in the world, will allow you to increase your health and posture. You’ll also need to be keeping your eyes open for any pieces that could unlock new abilities for your prosthetic arm. This further encourages the player to actually fight enemies and explore the world space, and may even require some element of backtracking. If it sounds like collecting Zelda’s heart pieces and unlocks, you’re along the right lines. Overall, Sekiro: Shadows Die Twice has been stripped of a lot of the superfluous elements of Soulsborne, but arguably retains a stronger RPG core as a result. This is certainly not going to be the direct sequel that some fans were hoping for, but FromSoft are known for delivering killer directions with their new titles, and I’m sure Sekiro: Shadows Die Twice will be no different. While I myself will be lamenting the loss of fashion-souls, it sounds like there’s going to be more than enough to dig the Wolf’s teeth into. Okay, that’s it for today’s analysis of Sekiro: Shadows Die Twice’s progression systems. As with all FromSoftware titles, exact details are still murky and intentionally mysterious (people are still discovering new Dungeons in Bloodborne, for example). Nonetheless, we’re starting to get the impression of a really deep system here, and one that I’m really excited to get stuck into later this year. Thanks for stopping by, and I’ll see you all next time for more great gaming guides and news.